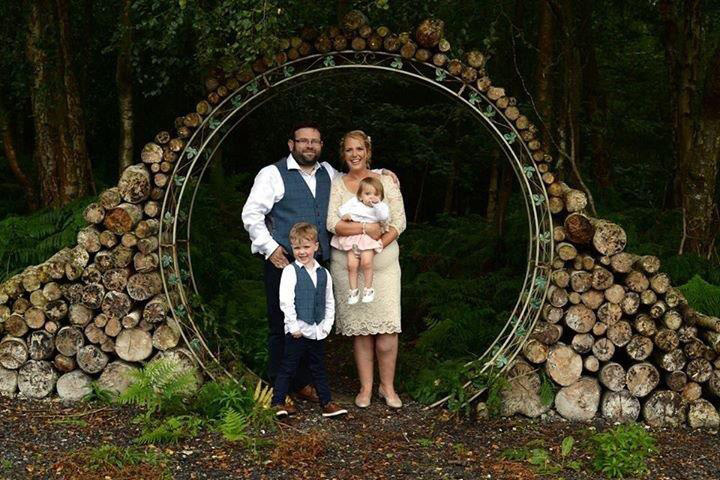 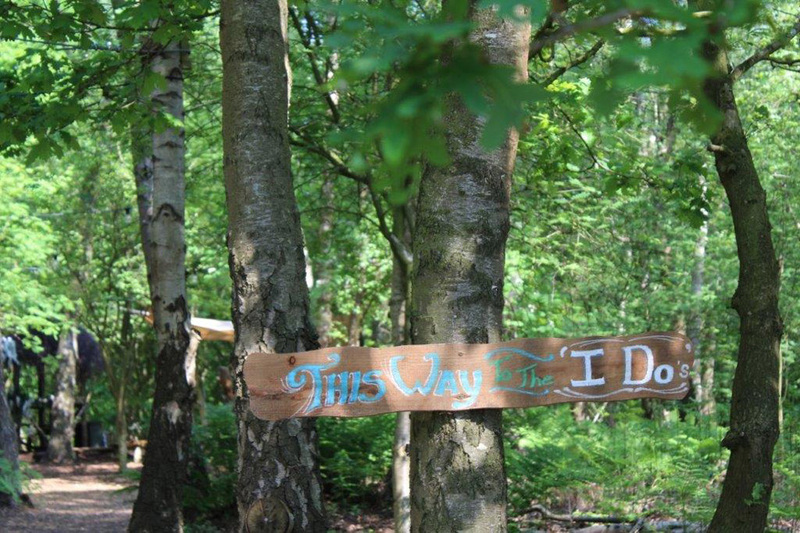 Cheshire Woodland Weddings is the perfect wedding venue for any couples wanting an enchanted woodland wedding. 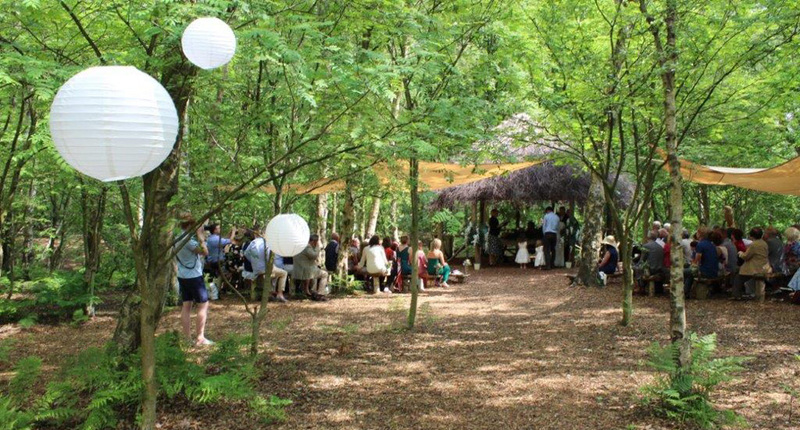 Cheshire Woodland Weddings is completely different and offers a unique experience. Our venue is fully licensed for weddings and ceremonies. 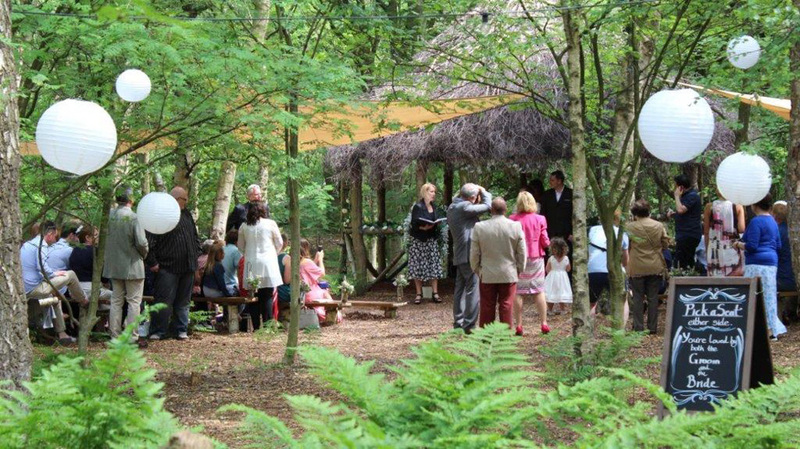 Ceremonies take place within our beautiful 15 acre woodland. 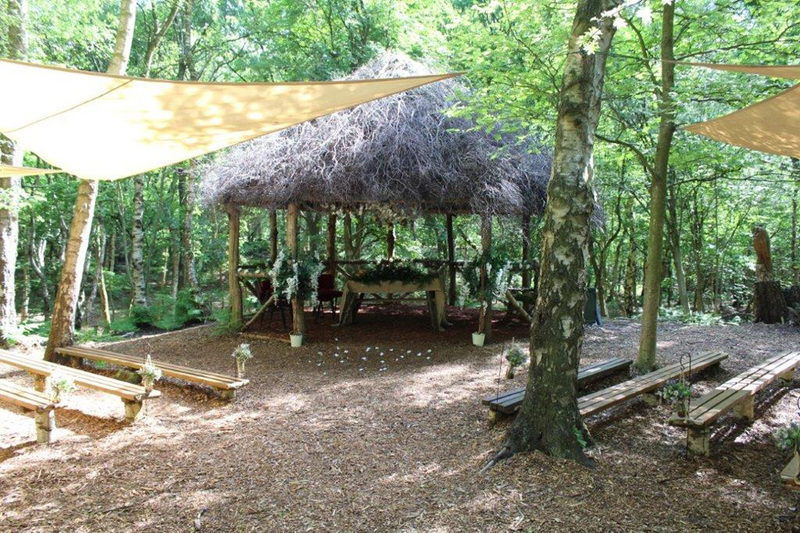 The enchanted woodland boasts a thatched shelter where you can say your vows nestled amongst the beautiful scenery. 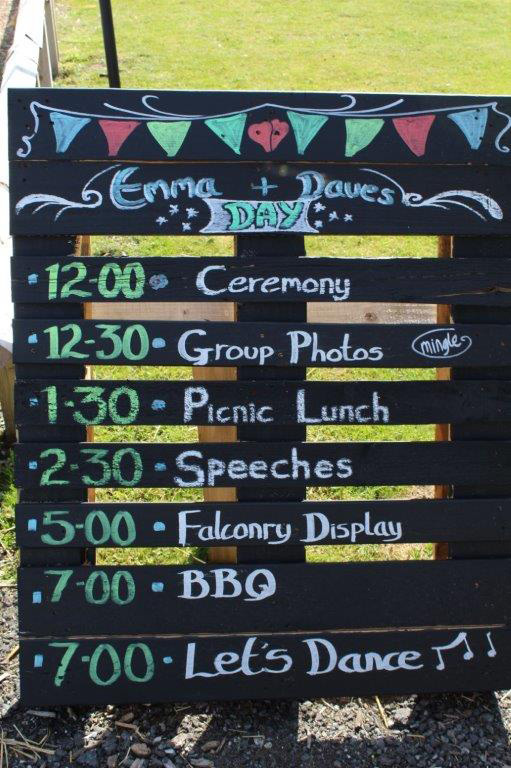 We also offer the unique option of having your wedding rings flown in by owl. 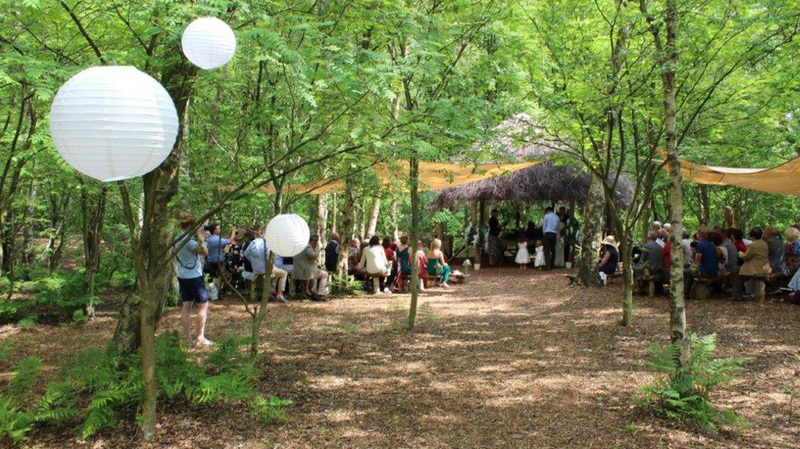 Which can be followed by enjoying a glass of fizz in the woodland or at our waterside gazebo. 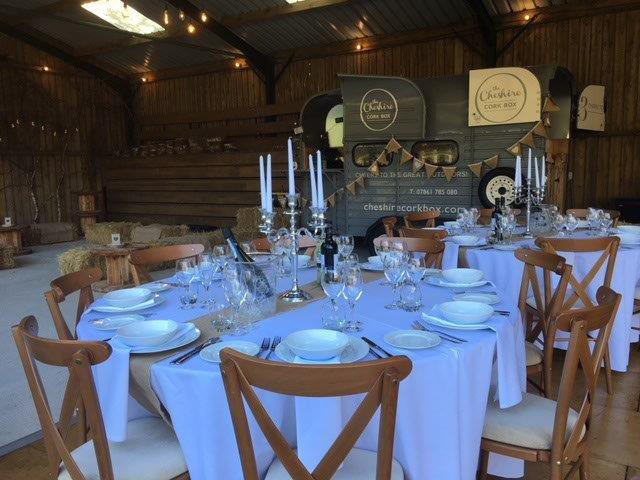 Our team are completely dedicated to providing you with the perfect day. 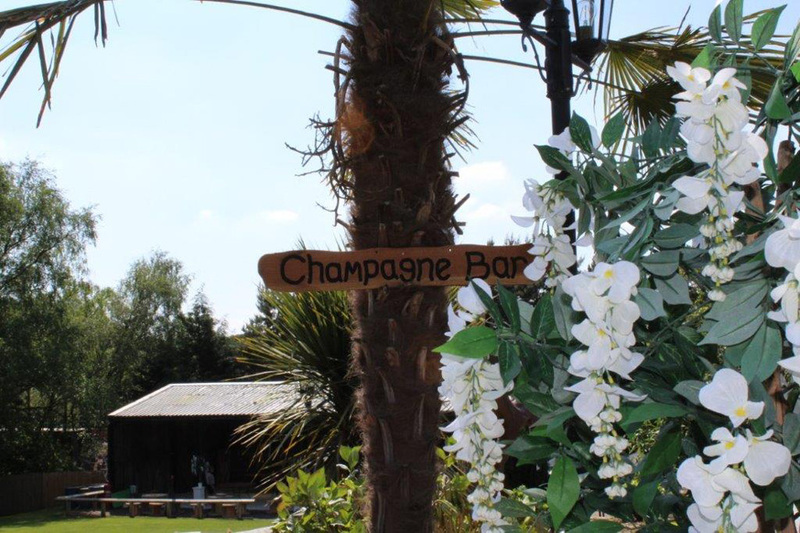 We pride ourselves on creating a relaxed day and one that you will never forget. 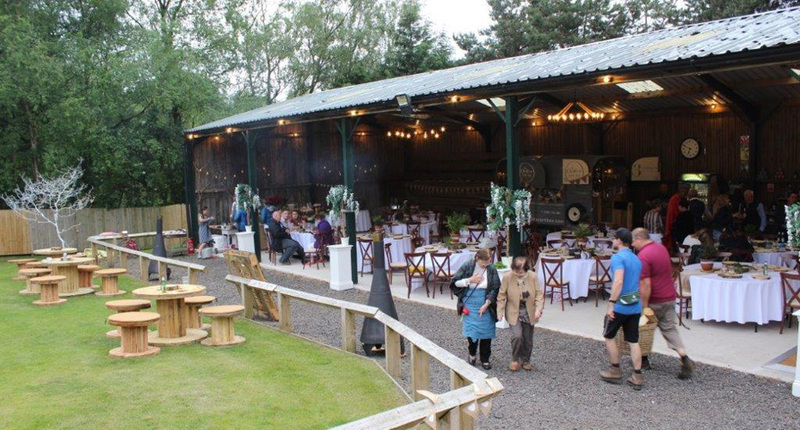 We also offer the option of exclusive hire of the venue and we can create a package full of fun activities, from archery, falconry, Segway, crazy golf, to human table football and much more. 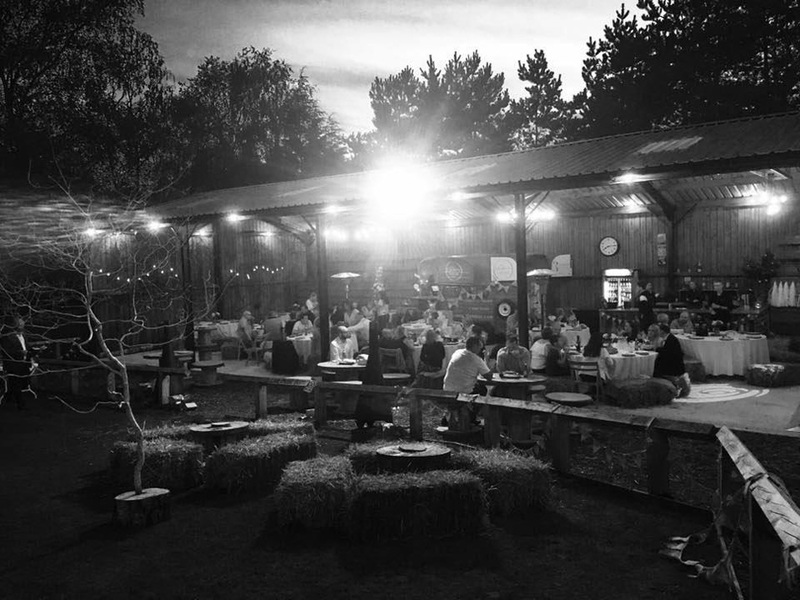 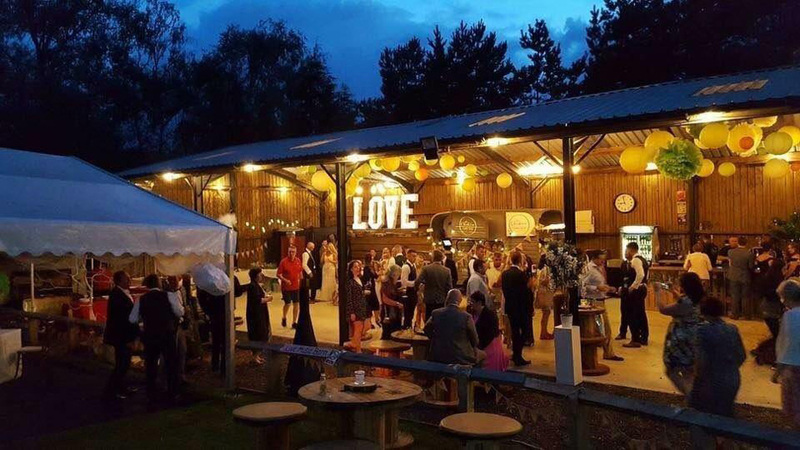 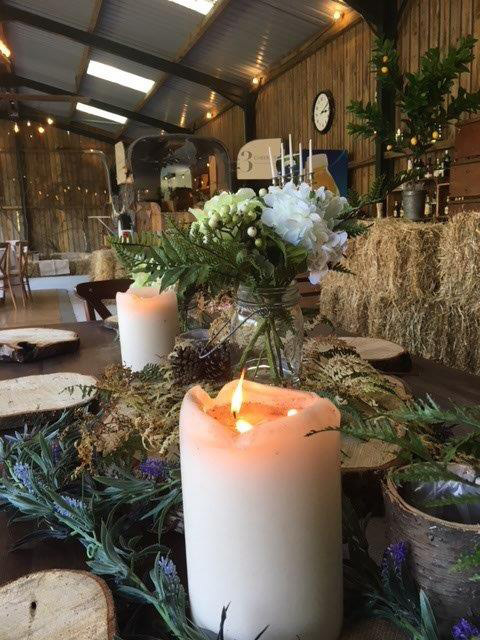 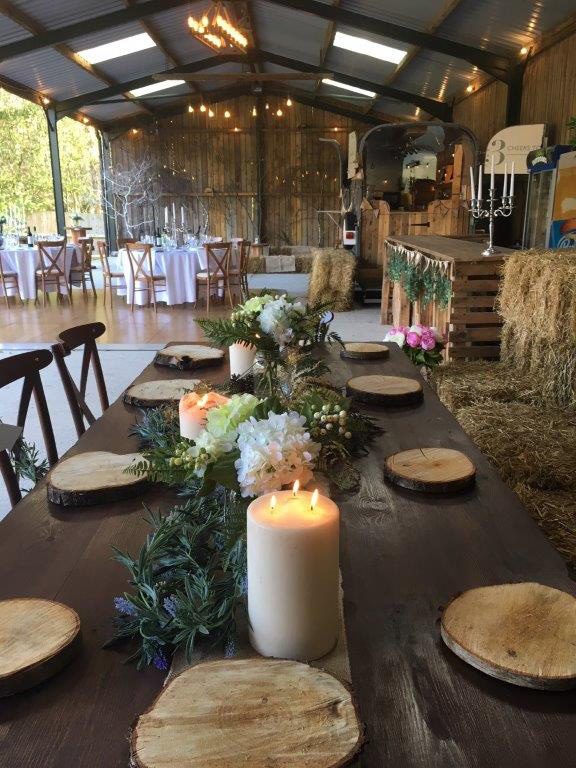 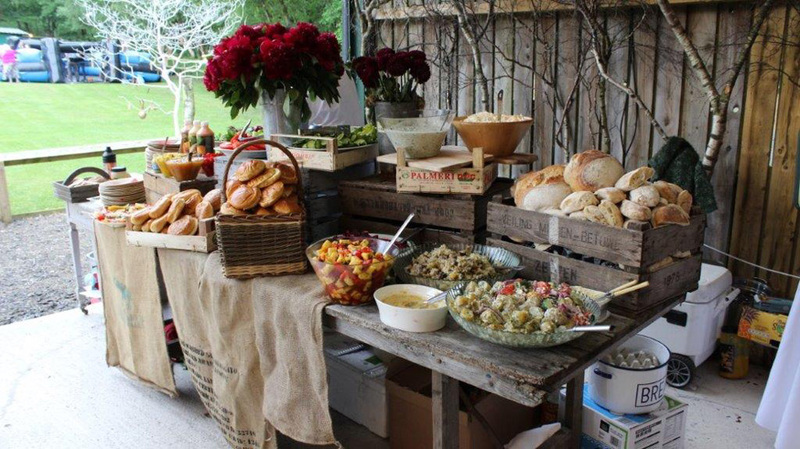 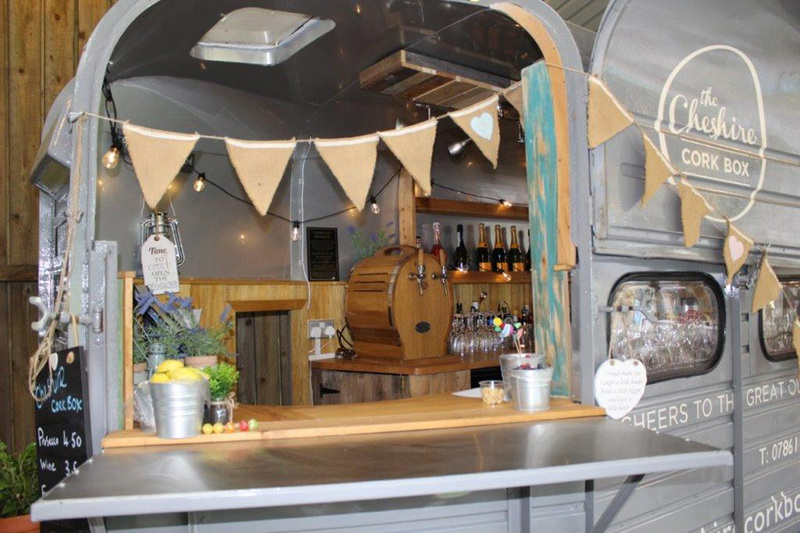 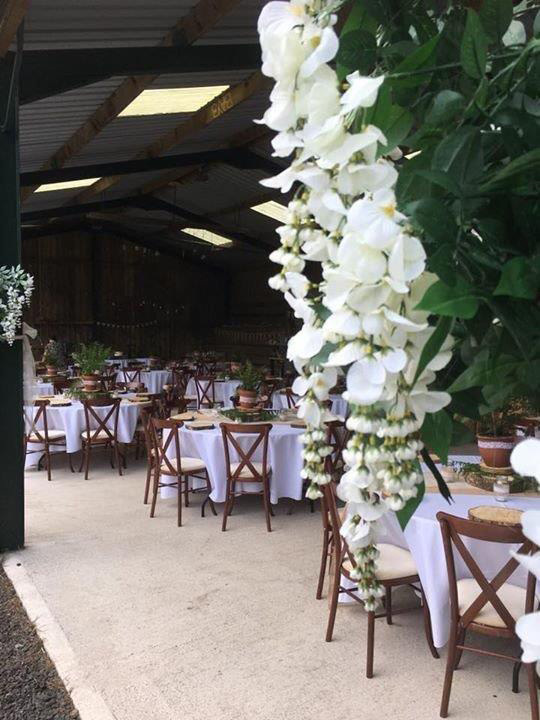 Our venue offers a 25m open barn complete with hay bales, where you can party the night away, eat, drink and celebrate. 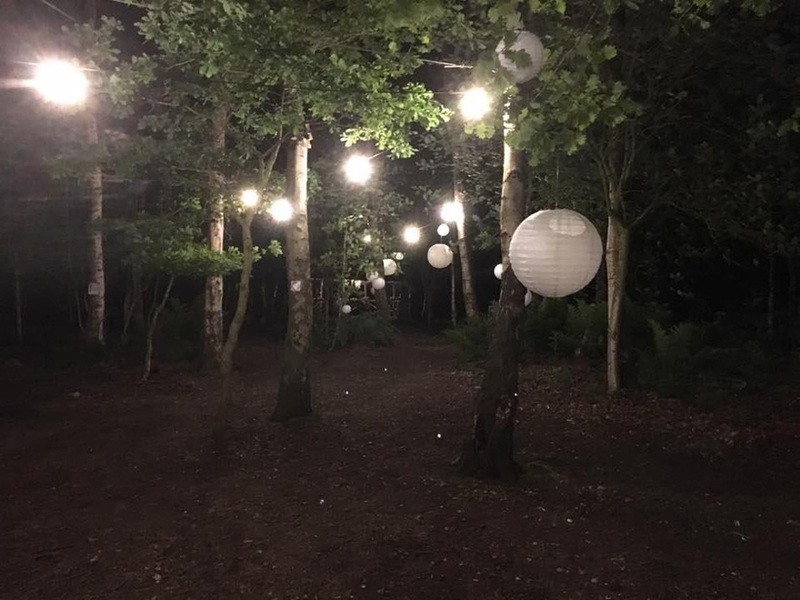 If your guests need a place to stay, there is a camping and caravan facilities on-site and hotel accommodation within 1 mile. 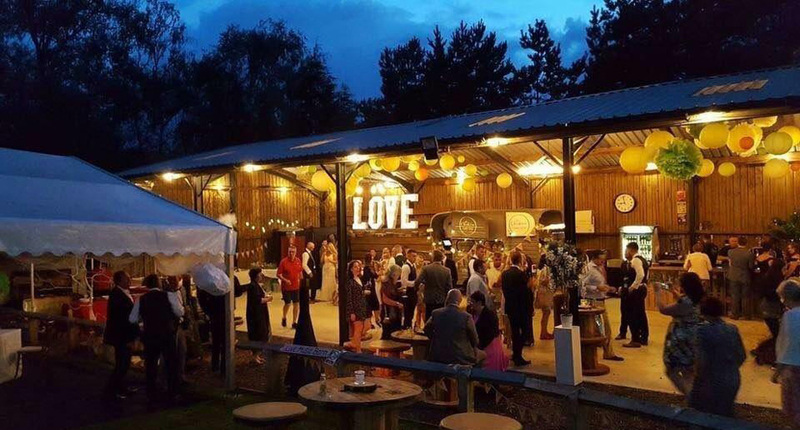 And for the happy couple, if you're looking for something extra special for a bridal suite, there are luxury lodges and log cabins are just a few minutes drive away. 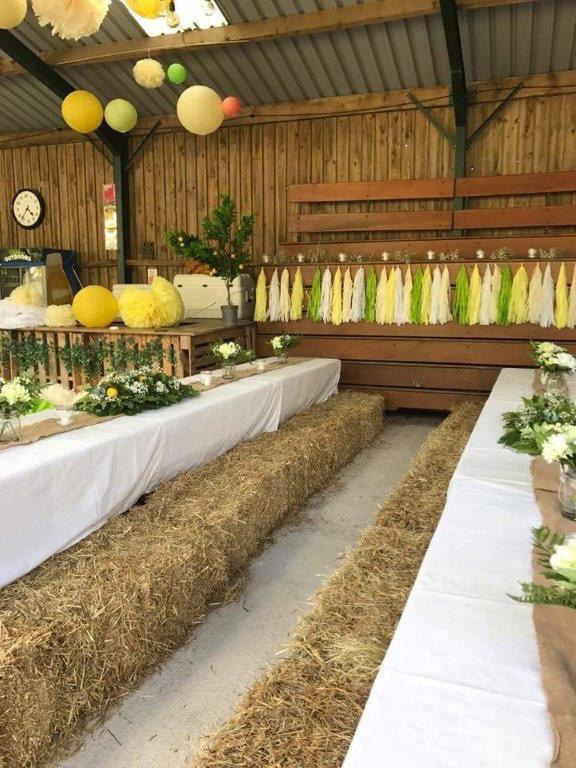 We look forward to making you perfect dream come to life!